Brachioplasty - Beaumont, TX | Mark Larson, M.D. 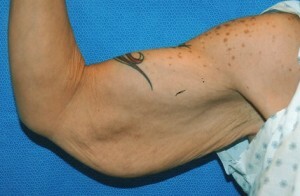 The arm lift surgery is also known as a “brachioplasty”. Dr. Larson performs this surgery to reshape the upper arms to produce more slender and toned contours. Weight fluctuations and natural aging cause the arm skin to stretch and become loose. 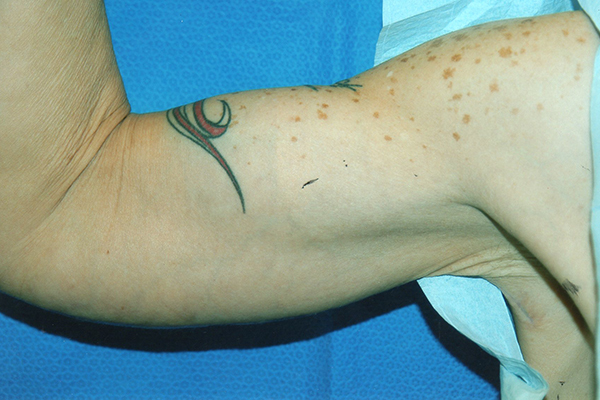 The fat deposits often accumulate in the upper arms as well. Over time, these conditions can cause embarrassing arm flab to hang off the upper arms. Dr. Larson likes to conceal the scar in a natural line that runs from the elbow to the armpit. This scar is difficult to see unless your arm is raised. Arm lift patients who previously felt uncomfortable wearing clothing that revealed their arms report that they love being able to wear sleeveless and short-sleeved tops without worrying about the appearance of their arms. They are also able to wear blouses with more narrow sleeves.